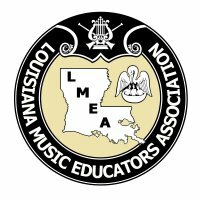 The LMEA Connection is the Official Electronic Newsletter of the Louisiana Music Educators Association. The newsletter is provided as a supplement to the LOUISIANA MUSICIAN, the official journal of the Louisiana Music Educators Association. This Opening School Issue is designed to provide you with a "one stop" connection to the most pertinent forms and listings of events for the 2016-2017 school year. Each additional issue will provide you with links/updates. But each issue will also focus on specific themes. Our Fall Issue will focus on the LMEA Professional Development Conference and All-State Activities. Our Winter Issue will focus on professional development articles along with providing information as pertains to LMEA Elections and Spring Assessments. The Spring Issue will wrap up the school year with both results from Regional/State Assessments, LMEA Elections and information relevant to preparations for the 2017-2018 school year. It is not our intent to clutter your inbox with unnecessary emails. But as an organization we are striving to improve communications between the organization and its members. It is our sincere hope that you will electronically save these newsletters for reference throughout the school year. Thanks for all you do for all of our children and the advancement of music education in Louisiana! PROGRESS. We are currently exploring and making changes, both small and big. I cannot thank Sharon McNamara-Horne and Sara Bidner enough for the many hours they have spent working for LMEA during the past four years as they laid the ground work for LMEA to take some new paths – to make progress through changes. I thank them also for their work in revising and completing our Articles of Inc. and By Laws. I am honored to take over where they left off as I do my best to serve you well the next two years. NEWSLETTER. The LMEA Connection is the title of our new electronic newsletter. We are striving to provide better communication and up-to-date information throughout the school year. This newsletter will supplement The Louisiana Musician and provide quick links to important information and articles on our website. WEBSITE. Many thanks to our now, Immediate Past President, Sharon McNamara-Horne for her time and expertise in the development of our new website. To date we do not have a webmaster. Sharon, Sara, and I revised and transferred information from the old to the new website last summer. The majority of our content has been available online throughout this past school year. Sharon, with the assistance of our LA Musician Editor, Pat Deaville will continue to develop the site. We plan to proceed with webmaster selection this fall. Please contact me for ideas or suggestions about any area of interest or concern that you would like to see addressed on the website. ONLINE TOOLS. We conducted our election for district directors and our employee evaluations online this year and had a great response. We are exploring methods of online payment for conference registration and have uploaded forms for online access. CONFERENCE We will include clinics that focus on the use of technology in music education into our annual conference. However, the obvious conflict is our minimal base of technology available to offer our clinicians for use in their clinics. We plan to increase our available resources in the near future. ASSISTANCE. If I can be of assistance or if you’re interested in getting more involved, please email me at fwhebert@gmail.com I hope you all have a terrifically successful year! Dr. Robert Lark, Professor of Jazz Studies at DePaul University. All State Orchestra Audition Recording Submission Deadline postmarked by Wednesday September 21st 2016. Dr. Sandra Dackow Music Director of the Hershey Symphony Orchestra in Pennsylvania, and of the William Paterson University Symphony Orchestra in New Jersey. Dr. Lynne Gackle, Baylor University for the Women's Chorale. Dr. Jeffrey Ames, Belmont University for the Mixed Choir. The LMEA Vocal Division is adding to the UIL source list of required pieces for District and Regional/State Assessments by including Texas List available through J. W. Pepper. We will consider additional material submitted by directors across the state. Please send the piece(s) you want considered to (rtownsend@stcharles.k12.la.us or michaeltownsend@charter.net) (1322 Choctaw Rd. Thibodaux, La 70301) by October 1, 2016. The final decision on the specific titles will be made by a committee comprised of LMEA Board Members. All grade levels will be adequately represented on the committee. The titles will be available at the fall conference and published on the website by December 1, 2016. Mohamad Schuman, University of Southern Mississippi for the Concert Band. Anthony Maiello, George Mason University for the Symphonic Band. Featured Clinician will be Jo Kirk from We Joy Sing, Inc. Additional clinicians include Dr. Sarah Bartolome, Northwestern University; Ann Marie Stanley, LSU; Michael Ruybalid, SLU; and more!